We believe entrepreneurs have the power to change the world. Help us discover the most promising startups and creators that are poised to change the world with Bose AR. Bose has a long history of audio innovation. From room-filling sound to noise cancelling headphones, they’ve been at it for over 50 years. Today, they’re partnering with Capital Factory, the center of gravity for entrepreneurs in Texas, to find the innovative ideas coming from creators like you. Bose AR - the world’s first audio augmented reality platform - adds a new layer of hearable content to the world around you. Using a Bose AR–equipped wearable and smartphone, this new platform lets you hear what you see. With simple head movements, voice commands, and taps, the Bose AR platform lets you stay involved with the world around you while your phone stays tucked away. 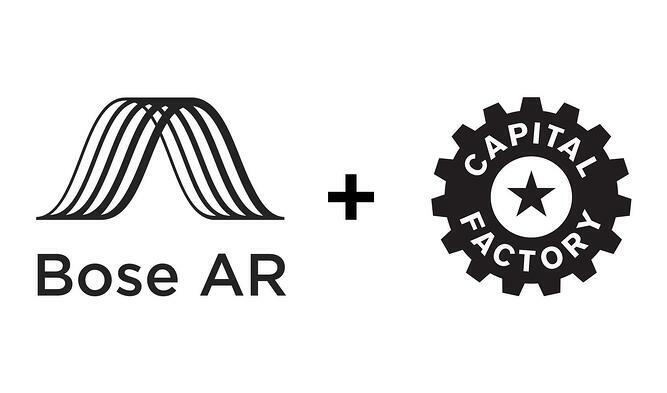 The Bose + Capital Factory pitch competition is looking for your great ideas on the world of possibilities utilizing Bose AR. From music and travel to education and exercise, we want to see the world you envision. Applicants will create a short video (~ 3 min) showcasing their vision for a Bose AR-enhanced experience. Submission dates and more details will be posted early January and winners will be announced at a special event in Austin in March. Finalists will compete for over $50,000 in prizes! Heads-up & Hands-free: How well does the idea or experience leverage the unique capabilities of the Bose AR platform and Bose Wearable hardware? Innovation: How innovative of an idea is being proposed? Completeness: What stage of application has been demonstrated? E.g. Pure ideation, pseudocode, proof of concept, prototype, etc. Presentation: How well did the Video Presentation demonstrate the idea, target audience, and use cases. Would you want to use this product? Customer Value / Market Readiness: Is there a need for this experience, idea, or technology? Is this application solving a problem or making an impact which is not currently being met with today’s technology? Feasibility: Is the idea or experience technically and practically feasible?